THURSDAY, April 7, 2016 (HealthDay News) -- The first leadless, wire-free heart pacemaker has been approved by the U.S. Food and Drug Administration. Medtronic's Micra Transcatheter Pacing System works like other pacemakers to regulate heart rate in people with heart rhythm disorders, but does not use wired leads to make the electrical connection between the device and the heart. One expert believes the device's approval is a big win for heart patients. "The leadless pacemaker is a major breakthrough in the field of heart rhythm management and will benefit patients through its ease of insertion and elimination of the lead," said Dr. Nicholas Skipitaris, who directs cardiac electrophysiology at Lenox Hill Hospital in New York City. Traditional pacemakers have a wire or "lead" connecting the device to the heart, and inserting the lead entails minor surgery, Skipitaris said. "Through a small incision near the shoulder, the lead is guided through a blood vessel and attached to the inside surface of the heart," he said. "The other end is connected to the pacemaker, which is then placed in a pocket under the skin. The incision is closed with sutures." Unfortunately for patients, "leads may sometimes malfunction or become less reliable over the long term," he added. Leads in traditional pacemakers can sometimes malfunction or infections can develop in tissue surrounding the leads, the FDA said, and surgery is then required to replace the device. But as the FDA explained, the new inch-long Micra device is implanted directly into the right ventricle chamber of the heart, with no wire lead needed. "Insertion of the Micra is also easier as it does not require any incision," Skipitaris said. "It is delivered to the heart through a long tube placed in a large vein in the groin area. The self-contained device is then anchored to the heart and the guiding tube is removed," he explained. Dr. William Maisel is acting director of the Office of Device Evaluation at the FDA's Center for Devices and Radiological Health. He said in an agency news release: "As the first leadless pacemaker, Micra offers a new option for patients considering a single chamber pacemaker device, which may help prevent problems associated with the wired leads." The Micra pacemaker is meant for patients with a common heart rhythm disorder called atrial fibrillation or those with other dangerous rhythm problems, such as bradycardia-tachycardia syndrome. The FDA approval is based on a clinical trial of 719 patients who received the Micra device. 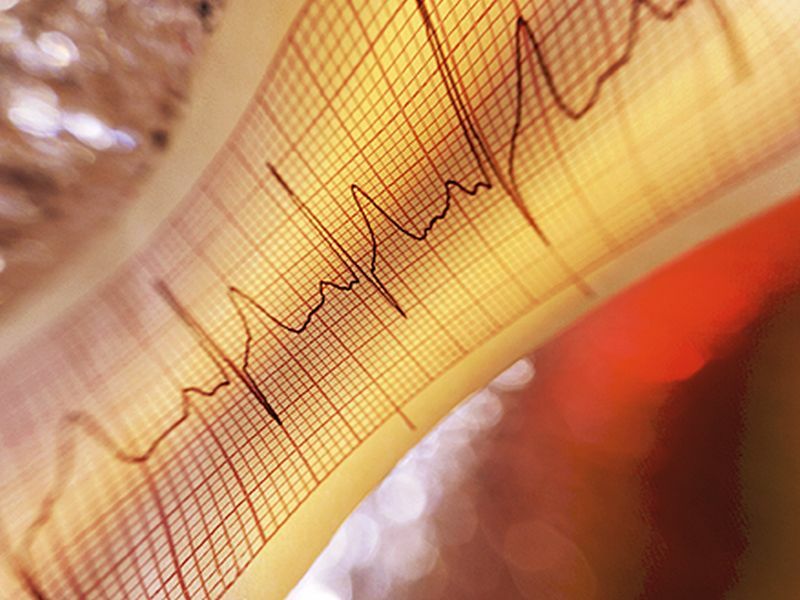 Six months after implantation, 98 percent of the patients had adequate heart pacing. Complications occurred in less than 7 percent of the study participants and included extended hospital stays, blood clots in the legs and lungs, heart injury, heart attack and dislocation of the pacemaker, the FDA said. "It is very exciting that we will now have a leadless device in our arsenal of weapons to treat flow heart rhythm problems," said another expert, Dr. Todd Cohen, director of electrophysiology at Winthrop-University Hospital in Mineola, N.Y. "The problem with pacing and defibrillator wires has continued to the present -- by removing the lead from the pacing system, a more reliable system may result." According to the FDA, Micra should not be used in patients who have other implanted devices that would interfere with the pacemaker, who are severely obese, have an intolerance to materials in the pacemaker or to the blood thinner heparin, or whose veins are too small for the implantation procedure. Nearly 1 million people worldwide receive heart pacemakers each year.